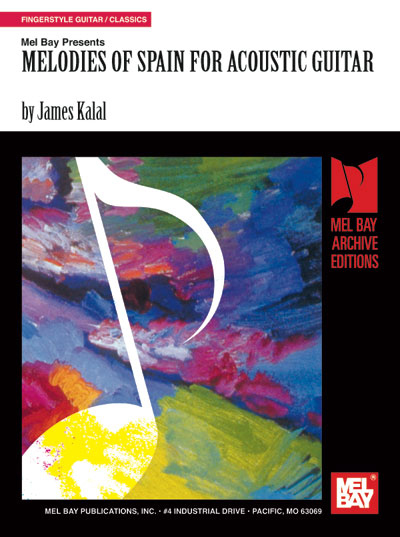 Classical guitar soloist James Kalal has compiled 12 breath-taking guitar solos based of renowned Spanish melodies and themes. Solos include works by Milan, Mudarra, Sor, Tarrega, Calleja and James Kalal. All solos are in notation and tablature. Audio recordings available as a free online download.